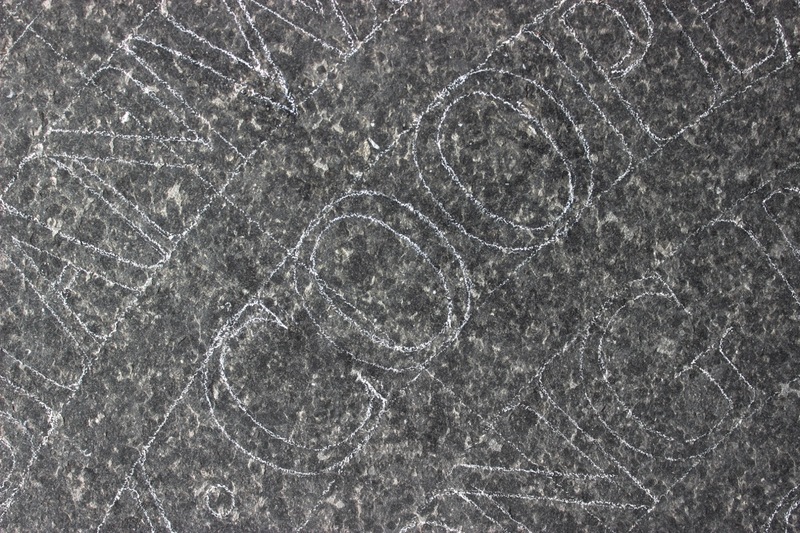 Cotswold Way two: the stone has landed. 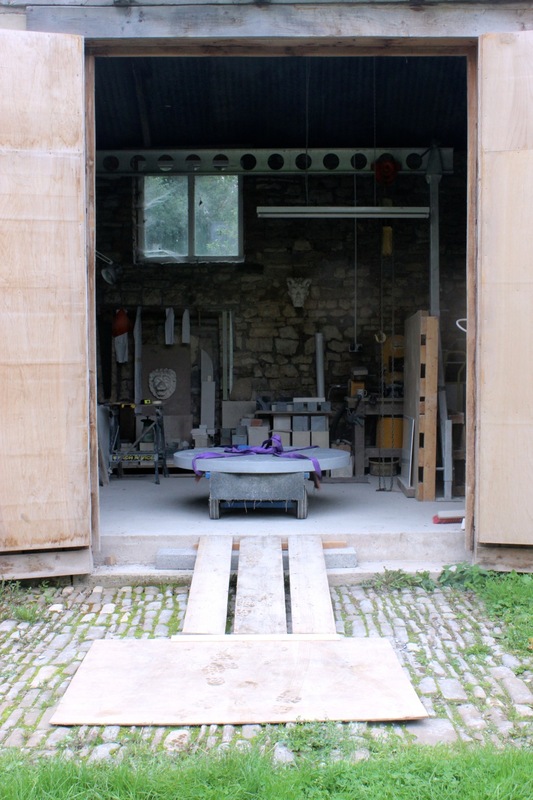 Here is the stone safely manoeuvred into the workshop. 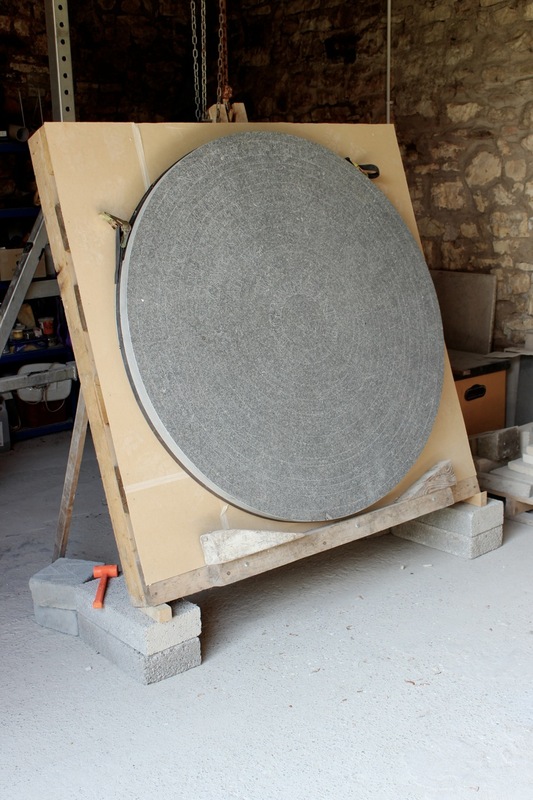 A 1.4 metre disk of good hard Irish Blue Limestone from McKeon Stone in Kilkenny. Beautiful Stuff! 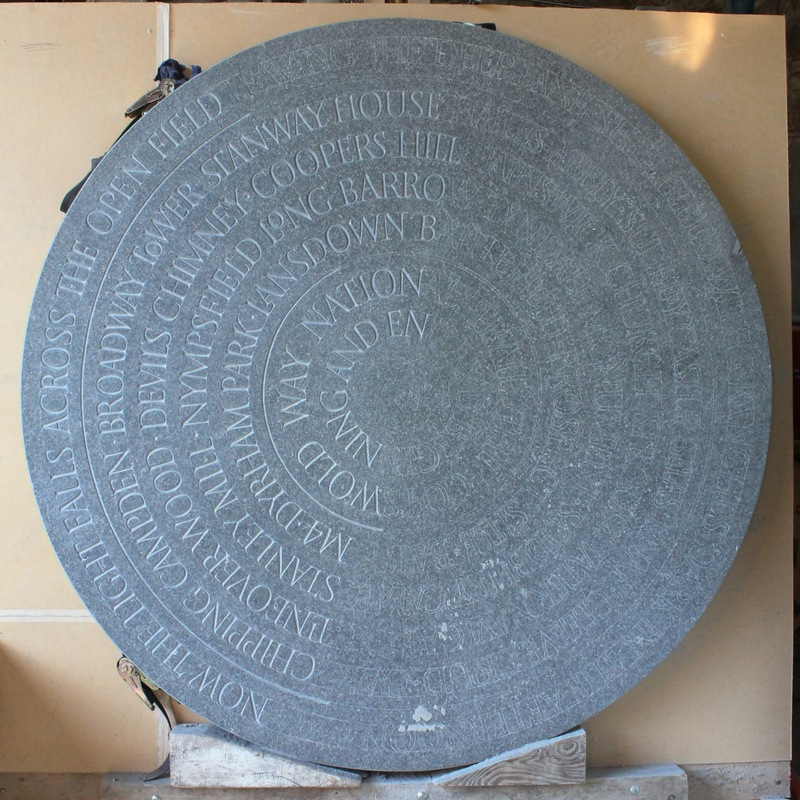 Two years ago I created a marker stone to mark the beginning and the end of the Cotswold Way Nation Trail, which was installed in front of the west doors of the Abbey in the beautiful Georgian city of Bath. 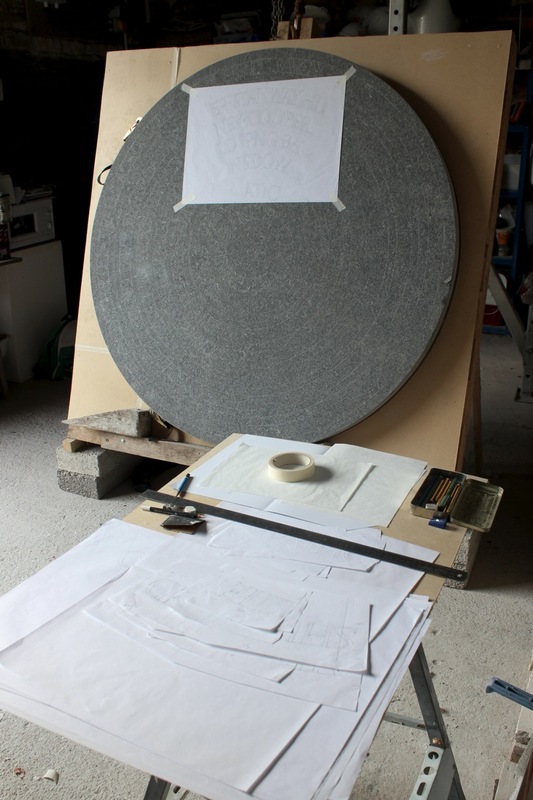 Today I started work on a companion piece to mark the other end of the trail for the charming Cotswold village of Chipping Campden. 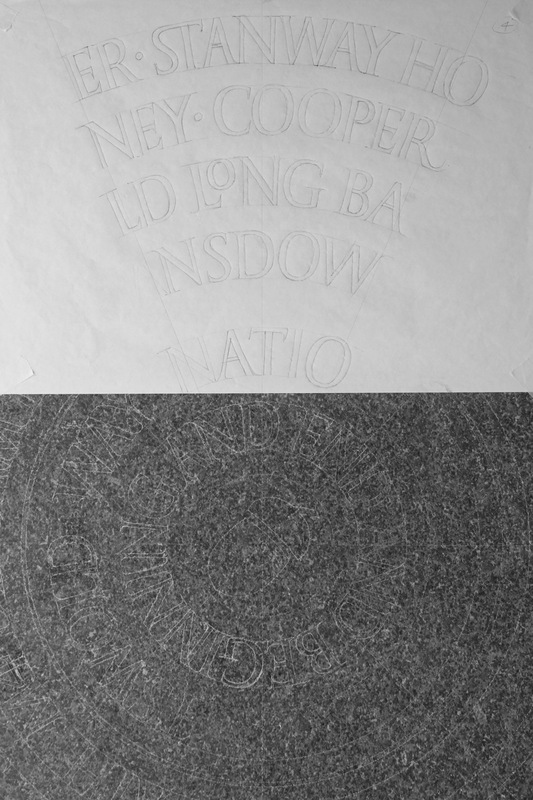 The new marker stone will be very similar to the stone in Bath. 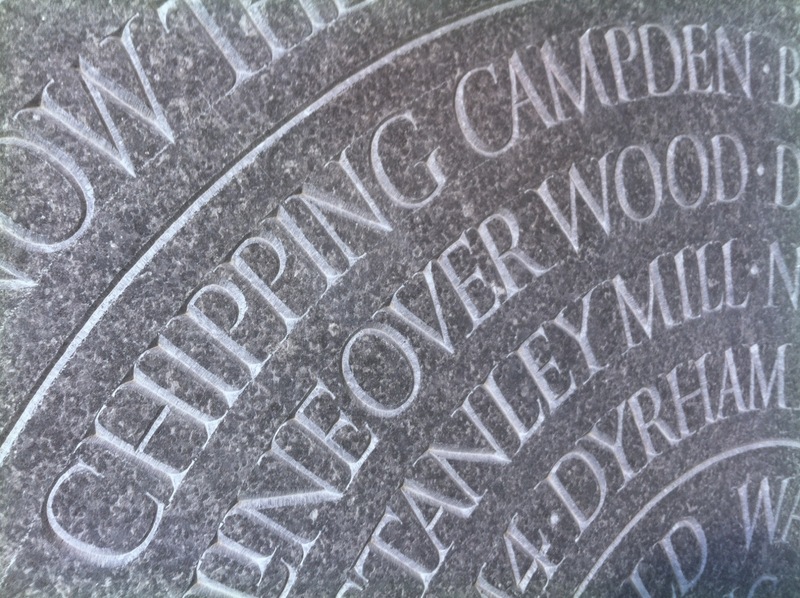 A disk of Irish Blue Limestone set in the ground, inscribed with the names of places along the Way. This “journey in words” takes in the major landmarks along the Way as well as places of historical interest and features that represent the variety of landscape experiences along the Way. 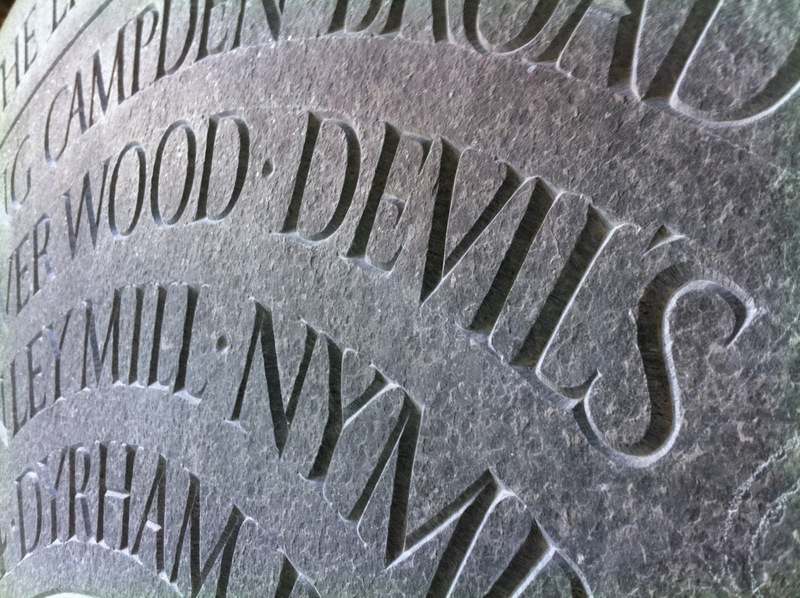 The Chipping Campden stone differs from the Bath stone in the choice of framing text around the outside edge. 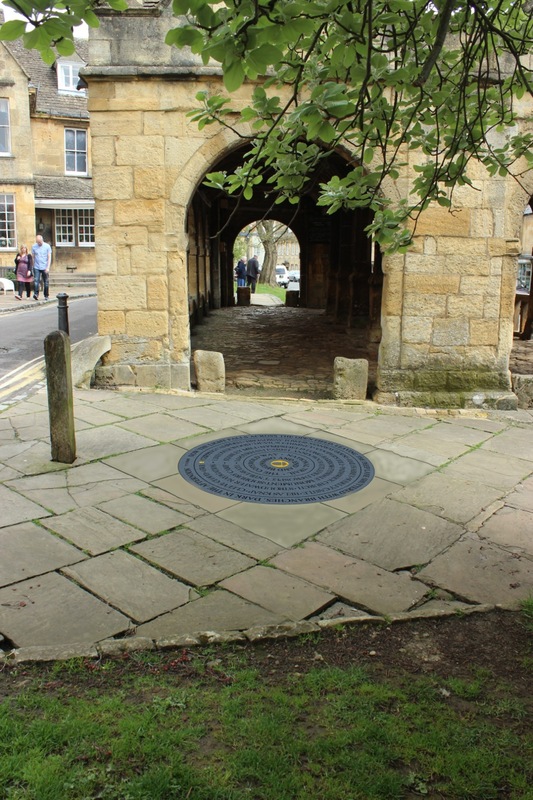 Whilst a quote from the old testament prophet Jeremiah frames the Bath stone with a pilgrimage theme, befitting its position in front of the Abbey, Chipping Campden is encompassed with a quote from one of the the “Four Quartets” by T S Eliot who stayed near Chipping Campden in the 1930’s. 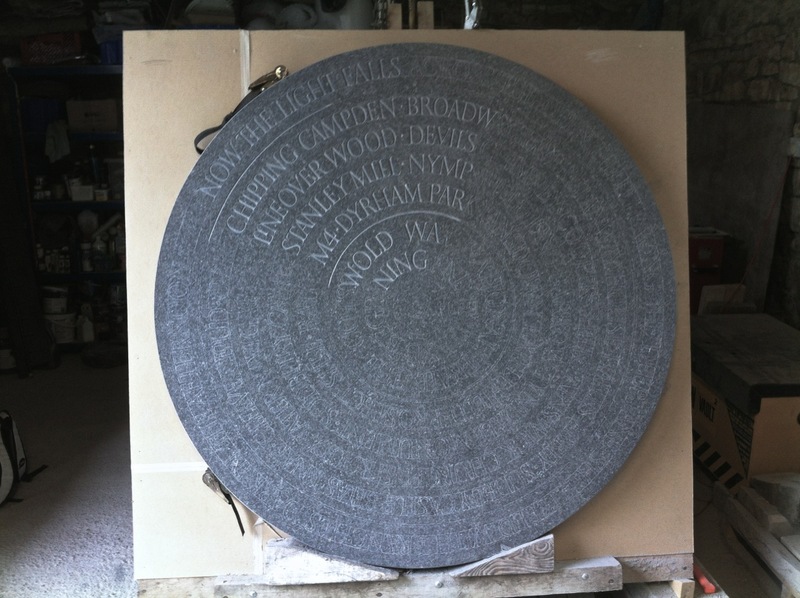 The Marker Stone will be installed outside the 400 year old Market Hall in the Autumn. 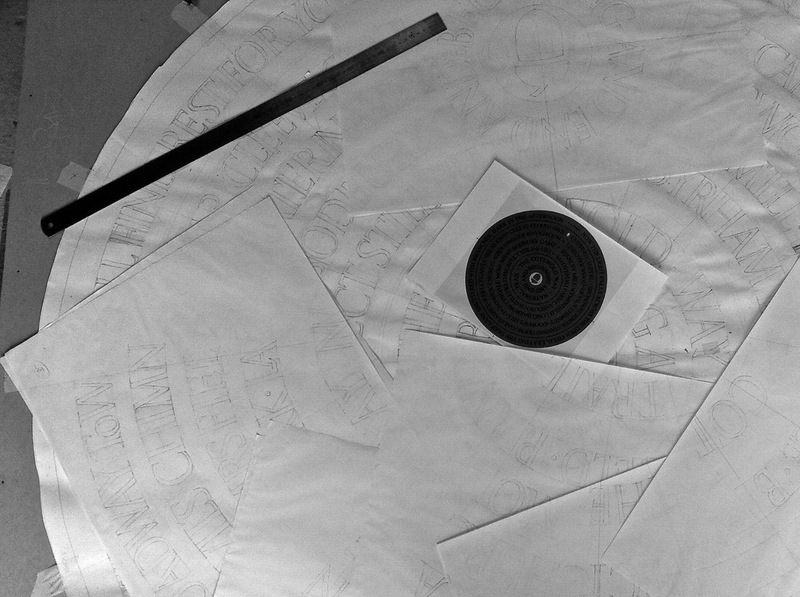 I will endeavour to regularly post photo’s of my progress so you can follow the development of the project here.